INTELLIGENT COMPUTING Google Google Chrome Internet windows How to Move Entire Google Chrome Data from One Google Account to Another? How to Move Entire Google Chrome Data from One Google Account to Another? In this Post I’ll show you how you can move entire Google Chrome Data including History, Bookmarks, passwords, Saved Cookies etc. from one Google Account to another and that too offline, you can Sync It online anytime after that. Got new mail id right? Now want to get your Google Chrome Data, Settings, and Bookmarks from your old account to new account? 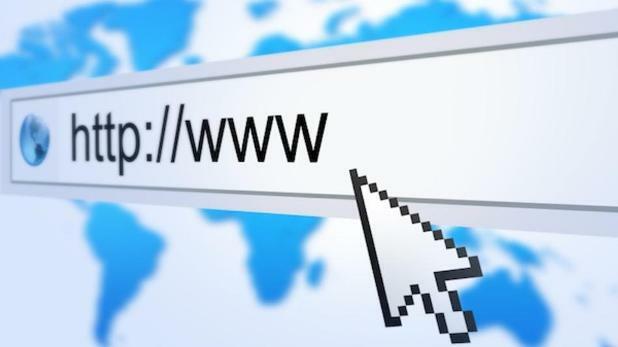 It’s easy to get everything back on new account and there are several ways to move bookmarks but you really need this post if you want to move History, Bookmarks, Saved passwords, Settings in your Google chrome and all. Latest version of chrome doesn't support this, if you are using chrome v55+, this will not work, please manually movie bookmark by import/export and few files like history and all. Since Moving files like this also insecure for saved passwords and other account preferences. If you are still using older version of chrome, go ahead and read it. once you move your file, make sure to update chrome to latest version. Well let’s get ahead saying you have now two mail IDs, oldid@gmail.com and newid@gmail.com. You are currently signed Google chrome as oldid@gmail.com and want to move entire data to newid@gmail.com. So what you need to do is, sign in to Google chrome using your new ID. In Users section, click on Add new user.. 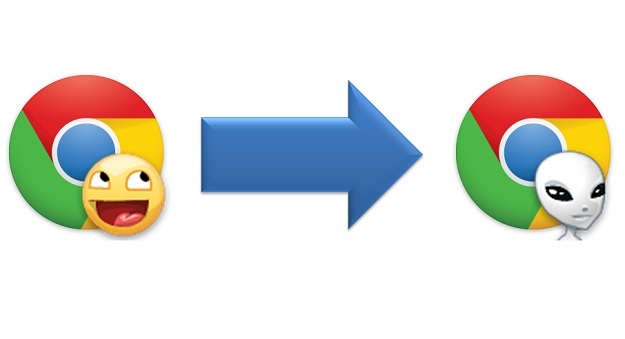 Choose the Icon and Sign in to new user account in your Google chrome. 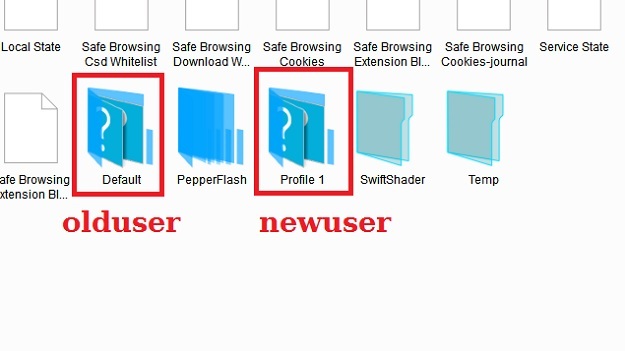 Lets this name as newuser, So you have two user in your chrome say olduser and newuser. You have entire data in your olduser and want to move to newuser. Default folder contains entire data of Profile0 that is olduser. And profile1 contains the Entire data of newuser. And so many olduser account related data. See the entire data is present in your new chrome user. Just let the Google chrome sync the data once it get online and your Entire data will be saved to your new Google chrome account with newid@gmail.com username. It’s really helpful those who are migrating from one Gmail account to another. This is really very helpful and easy method to do so, you can go to similar location in your older version like Windows XP and all. Don’t forget to share this with your friends and let them know about this.